Historical fiction is my favourite genre, so I thought I’d share 4 great historical fiction novels I read in 2017. 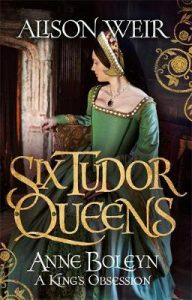 In this series (Six Tudor Queens, Six Novels, Six Years), author Alison Weir takes us through Anne Boleyn’s upbringing in 16th Century French court and the powerful women she served, including Margaret of Austria, Henry VIII’s sister in France Queen Mary and later Queen Claude. Anne Boleyn’s relationship with King Henry VIII, marriage and subsequent fate is well known, but Alison Weir puts a fresh new spin on the well trodden story and I loved it. 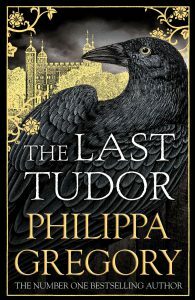 Highly recommended for fans of Philippa Gregory. 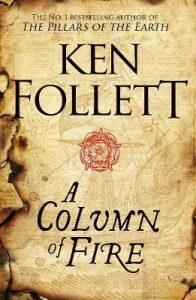 A Column of Fire is the third in the The Pillars of the Earth series by Ken Follett, and we pick up the story 250 years after World Without End. This time, the story takes us through the reign of Elizabeth I and the political and religious turmoil between the Protestants and the Catholics. Rather than staying primarily within the town of Kingsbridge (as in the first two books in the series), Follett extends the plot as far as France and Spain and in doing so has provided a great insight into the era. A Column of Fire can be read as a stand-alone. 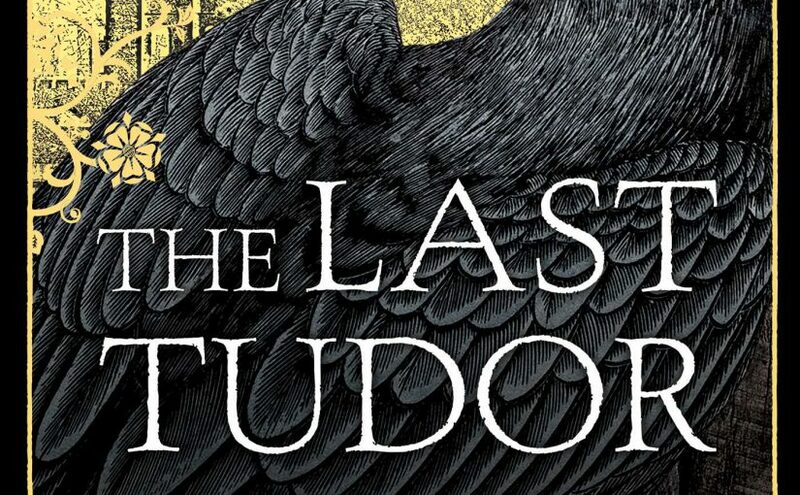 The Last Tudor is essentially the story of the three Grey sisters: Jane Grey, Katherine Grey and Mary Grey. The Grey sisters were cousins to Mary Tudor and Elizabeth Tudor and this blood connection would prove to haunt them their entire lives. Commencing in 1550, the story unfolds from each sister’s point of view in three separate sections, giving us uninterrupted access to their lives. Each story is as compelling as the next and has been pieced together from the content of real letters and impeccable research into the period. 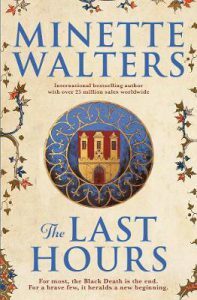 The release of The Last Hours by Minette Walters caused a stir a few months ago, being the first novel the author had released in a decade. Set in Dorsetshire in the 1300s, this is the story of Lady Anne of Develish and her attempts to protect her serfs from the deadly plague. She employs new sanitation methods for her household and cares for her serfs in a fashion that makes her ahead of her time. Lady Anne’s approach to the threat of the plague is in direct conflict with the idea that the plague is God’s punishment, and with food and supplies running out, The Last Hours is a suspenseful and compelling read. Each of the novels above can be read as a stand-alone or part of their respective series. Let me know in the comments if you’ve discovered some great historical fiction novels this year. I had the surprising pleasure of watching the new Robin Hood starring Russell Crowe and Cate Blanchett at the movies yesterday. Surprising because I didn’t expect much of it. Pleasing because I found it to be intricately crafted, the chemistry between Robin and Lady (Maid) Marion to be entirely believable, and the movie showcased a new and fascinating approach of the man before he wore the hood and became one of the most famous outlaws of all time. If I’m to be perfectly honest, it was a little Hollywood and the movie could have actually been MORE epic than it was – it seemed as if it had been overedited slightly. But in my view that’s a small price to pay for an enjoyable movie trip, and Cate Blanchett as Lady Marion was majestically good as always. Coming away from the rolling credits however, what struck me most about the legend of Robin Hood was how little I had known of it. Big fan of men in tights and such, but I didn’t know, for example, that ol’ Robin was considered a staunch supporter of 12th century king Richard the Lionhearted. I didn’t know (stemming from this) that the legend of Robin Hood lived in the time of Eleanor of Aquitane. Yeah, THE Eleanor of Aquitane. Oh, wait, you want to know more about her? Well, she was…awesome. And important to history because…um. You got me readers, I don’t know a thing about her. Oh, I can spin a yarn from here to tomorrow that’s more or less true about Elizabeth I, or count the wives of Henry VIII on my fingers in under 9 seconds (that’s right, I timed it). I even profess to know more than your average Jane about the beloved Plantagenets. But about the woman who was considered the most beautiful woman of her time (oh, weren’t they all), who defied convention and exercised influence over her sons as heirs to the throne, was super wealthy, survived the marriage of two kings and outlived all but two of her TEN children? Regrettably, not much. Until, that is, Alison Weir, teacher of this area of history, rides in on her trusty white horse to take me far away from the land of ignorance! I graduated to the class of Alison Weir after I had polished off Philippa Gregory’s “historical” works (so they were mostly fictionalised a great deal, who cares? Still rollicking good reads). Alison Weir writes BIOGRAPHIES about British Royalty, my snobby historian friends said. Not mere fiction. Yawn. Sounded boring to me. Luckily, the lives of these royals are as good as fiction anyway! I’m flicking through my recent purchase, Alison Weir’s Eleanor of Aquitane, and I’m learning things already. Turns out Eleanor’s first marriage to King Louis VII of France was annulled by consanguinity within the fourth degree (don’t feel shame in looking up that word – I had to)! I’ll report back once I’ve finished, if any of you out there have some interesting books on Eleanor they’d like to recommend me, I’m all ears (we’re on a first-name basis now, Eleanor and I). I’m about to be educated – is it wrong that I get so excited about these history lessons?